While we all wait impatiently for the new Foals album, ‘Holy Fire’, scheduled for release next month, a brilliant remix of the band’s current single “My Number” has surfaced online. Last month we reviewed “My Number” (read our review), which followed the band’s massive first single “Inhaler” (read our review). Now for the remix by TEED (Totally Enormous Extinct Dinosaurs). TEED is of course English DJ and Producer Orlando Higginbottom, who was iTunes Electronic Artist of the Year 2012 and whose debut album was #5 of the BBC album list last year and DJ Mag’s ‘Album of the Year’. Having previously remixed tracks by Katy Perry, Friendly Fires, Darwin Deez and many other high calibre artists, it’s no surprise that his remix of “My Number” is an absolute stonker. Taking the main melody from the verses, transferring it to keys and then looping it, TEED then adds ambient textures to give the song an underwater / aquatic quality. Hi-hats are introduced around 1:15 and the pulse increases. Atmospheric synths that we caught a glimpse of in the original are heightened to the extreme with their intensity increasing over time becoming at once dreamy and consuming. When the main vocal hook from the original is introduced at 2:20 and the beat kicks in, TEED’s remix is a certified club smash. A brilliant take and arrangement of an already top indie-pop tune. 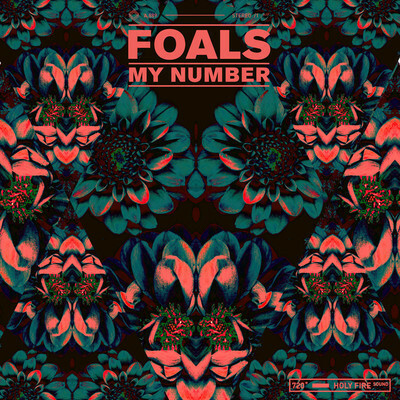 The original Foals version of “My Number” appears on the band’s highly anticipated upcoming album ‘Holy Fire’, which is scheduled for release 11 February, 2013 in the UK and 12 February, 2013 in the U.S.